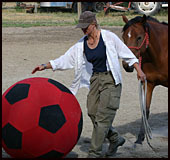 Scheduled Horse Training Clinics, Exhibitions & Demonstrations. May...Training in Saskatoon between Edmonton Clinic and St. Andrews...Unless another clinic is booked. All TFC camps have an inherent flexibility to make sure the subject matter is relevant to all participants at a level they can grow with and have fun being safe. Of course the TFC camps in Kelowna all have a day swim at Kalamalka lake and mountain trails. My trail at the back of the property has been graded though to Gallager Canyon. All camps include, continental breakfast, prepared lunch and supper which so far has been a hit (Thanks to Keegan my son who has done most of the cooking). barnyard, if electricity is required there will be a nominal charge. Upcoming training topics to be covered on my FB videos and website. 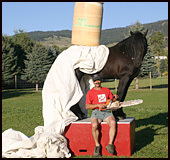 a) Liberty in more formal roundpen but also in improvised settings, how do you start ( This will be up in February). 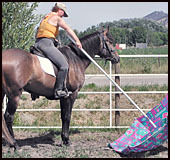 b)How to get a start on training younger horses this one will be up soon (likely in February as well). 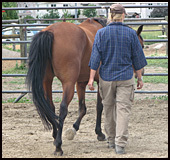 c) Endotapping new foals ( awaiting my new Padrino son end of spring) so folks can understand how easily you can teach some life skills to your new foal that they will tap into for the rest of their lives with their human partners. 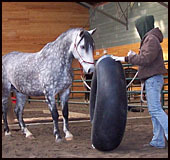 d) Some segments will cover Classical Dressage/Working equitation foundation movement skills..... e) The clips on endotapping will show how to help our horses be braver but also to enhance relaxation of the body as well as improving foundational movements. FOR COURAGE CENTER with us in Kelowna.